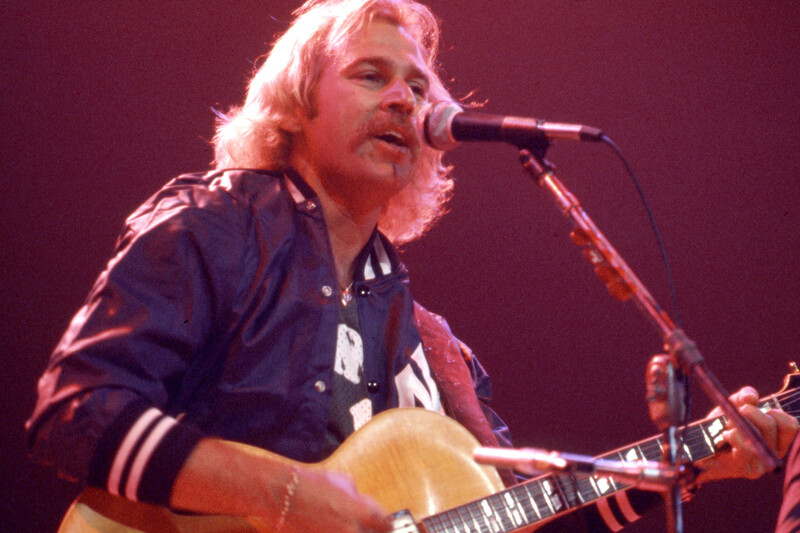 It had been ten years since Jimmy Buffett first recorded “Wastin’ Away Again in Margaritaville.” He and the Coral Reefer Band were still touring, making that lazy song about a lost love–and a shaker of salt–into an eventual 2016 induction into the Grammy Hall of Fame. And, for the 8th season in a row, the band would be performing the song at Poplar Creek in Hoffman Estates. This made them the only band to appear every year at Poplar Creek since they opened in 1980. It was also the first year that the music venue did not advertise their packages of shows in the Daily Herald. They also didn’t appear in the Chicago Tribune. Interestingly enough, there were only six female acts this year: The Bangles, Whitney Houston, Reba McEntire, Liza Minelli, Barbara Mandress and Tina Turner. And the biggest act of the year with the most shows? 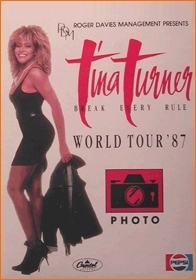 Tina Turner, with her Break Every Rule tour. It was the top female concert attraction in 1987 and, according to Wikipedia was “the biggest tour, by attendance, for a female artist ever, bringing in over 4 million people.” Poplar Creek was lucky enough to showcase her for two nights! Were you one of the lucky ones who saw her? In 1986 Billboard magazine ranked Neil Diamond as the most commercially successful solo performer of the year. If appearances at Poplar Creek were any indication, they definitely contributed to this impressive ranking. 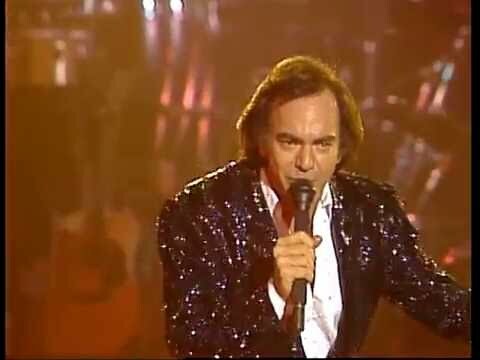 Even though Neil Diamond wasn’t selling as many albums in 1986, his concerts were still a hit. Poplar Creek started the season with three Neil Diamond shows in the lineup (July 8-10) and quickly sold out the pavilion seating. When the lawn seating started to go in a hurry too, they added an additional two shows on the 11th and 12th. Additionally, his shows were the most expensive of the season, coming in at a whopping $23.50 a ticket! The only other performer that season who added an additional show was Bob Seger and The Silver Bullet Band. His first show–pavilion and lawn seating–sold out in a red hot hurry too. 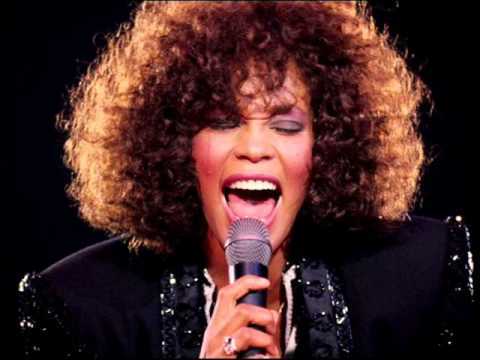 Whitney Houston was also at the top of her form and it showed by virtue of the fact that she signed on for two shows. 1986 was a huge year for her. 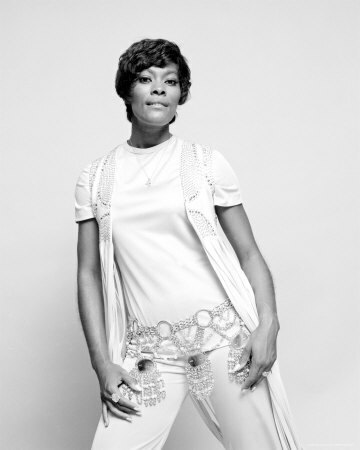 She was nominated for three Grammies and won for Best Pop Vocal Performance, Female for her hit single “Saving All My Love For You.” Her performance of that song at the Grammies earned her an Emmy for Outstanding Individual Performance in a Variety or Music Program. She was HOT that year and those who saw the shows were fortunate! And, since we’re keeping track, the only performers who had performed every year since the theatre opened in 1980 were still Jimmy Buffett and Willie Nelson! Music machines. It’s also interesting to note which of the backup bands became famous in their own right. Metallica, Randy Travis, The Bangles and Fine Young Cannibals certainly leap to mind when viewing the list. Does anything else in this list catch your eye? Did you attend any of the shows? I know I went to the Anne Murray show because the library had tickets. I remember she made a special point about welcoming us to Hoffman Estates on a Monday night. It was a pretty darned good show and the fact that we had pavilion seating made it all the better! When Poplar Creek’s sixth season opened in 1985, it was apparent right off the bat that the booking agents were going to move in some new directions. Iron Maiden, a heavy metal band, was on the schedule in June and, conversely, Amy Grant, a Contemporary Christian artist, was scheduled for August. Somewhere in the middle were other newcomers: UB40, a reggae band; New Edition, a teenage soul group; Illinois boy, Dan Fogelberg; Canadian rocker, Bryan Adams and British pop band Style Council. Of course, there were big favorites scheduled like the Beach Boys, Barry Manilow, Phil Collins and Huey Lewis and the News–a band that set the attendance record the prior year. Coming back to Poplar Creek after not touring for more than five years were Tom Petty and the Heartbreakers and Dire Straits. This was also the first year for Phil Collins to break from Genesis and for Don Henley to break from the Eagles. Alabama was also appearing on their own and not as the opening act for Mac Davis. 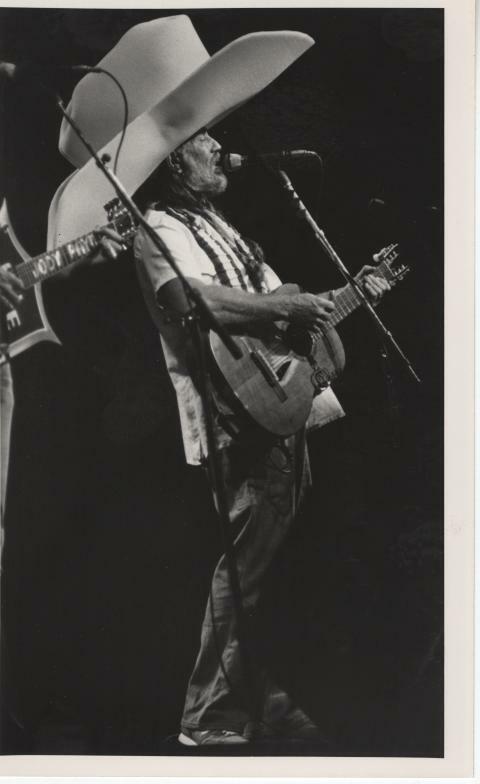 The list of bands who had performed at all six years of Poplar Creek’s existence was now down to two–Jimmy Buffett and Willie Nelson, performing machines! Tickets for most shows were $15 for pavilion seats and $10 for lawn seats with Barry Manilow, Liza Minnelli, Phil Collins and Alabama commanding slightly higher prices. You have to give it to Barry, Liza and Phil though. They were willing to book two shows and, obviously, brought in the crowds to justify the prices. 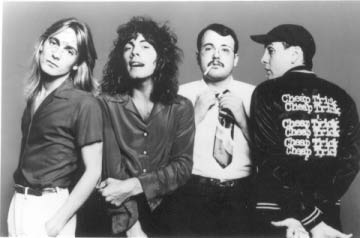 And, to top off the season, Cheap Trick gave a free concert on Friday, September 20, the final day of the season. There were three ways to get tickets. (1.) Go to any Just Pants store and buy a top, pair of pants or any Levis product and a ticket was yours. (2.) Visit any of the locations announced on WLS-FM during a certain few days and obtain one of the 1200 tickets to be handed out. (3.) Or, go to any of the following records stores and say, “WLS is my favorite radio station”: Hegewisch Records, Rolling Stone Records, JR’s Music Shop, Flip Side and Orange Records and Tapes. A limited number of tickets would be available. How many local people do you suppose went to the Flip Side in Barrington Square and asked that question? August 23 & 25 Wham! Around this time in 1984 Poplar Creek Music Theater’s season closed after it’s fifth straight year of outdoor music in the northwest suburbs. The big name for Poplar Creek that year was the famed tenor, Luciano Pavarotti, who appeared on a memorable Monday night in August. 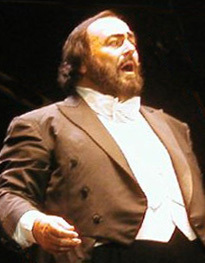 Multi-city touring was something new for Mr. Pavarotti and Hoffman Estates was chosen as the starting point for the tour. The performance was conducted with the orchestra of the Chicago Lyric Opera providing the background accompaniment. Other locations where he performed were New York, San Francisco and Los Angeles but Poplar Creek had him first! You can read more about that concert here. There were other large, multi-piece bands who performed. Linda Ronstadt with Nelson Riddle’s orchestra, Chicago and Herb Alpert and the Tijuana Brass provided a big sound on their respective nights. 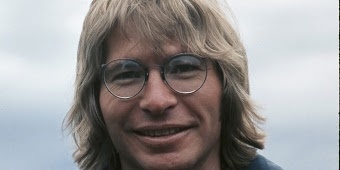 John Denver came back after a couple of years off and did himself proud with two concerts on back to back nights. The only others who performed two nights in a row were James Taylor and Neil Diamond. Not too hard to believe, is it? Disco was definitely gone but there were still country acts who gave big concerts. The Oak Ridge Boys, Willie Nelson, and Waylon Jennings with Neil Young filled that part of the bill. And then there was the 1980s pop sound with Billy Idol, Go-Go’s, Cyndi Lauper and Sheena Easton. In 1983 there were six acts who had performed every year that the theater was open. In 1984 that number was down to three. Those who were back for yet another encore performance were Jimmy Buffett (does he ever quit? ), James Taylor and Willie Nelson. And all of them are still popular today! Unfortunately, the closing act of the season was cancelled. Barbara Mandrell was set to perform on September 22 but was forced to stop her tour because of serious injuries suffered in a car accident on September 11. How many of these concerts did you attend? What were the highlights? Were you part of the traffic jam on I-90 for Pavarotti’s concert? Fill us in on the details! 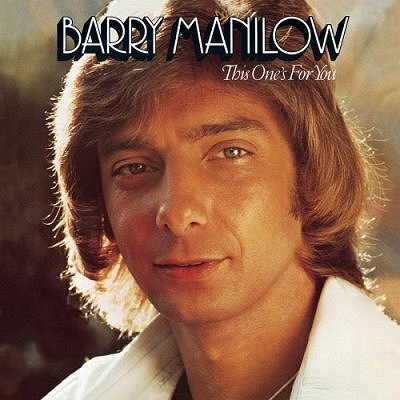 When Poplar Creek opened in 1980, Barry Manilow was in the lineup for three nights and then he disappeared for two years. In June of 1983 he came back with a bang–and he didn’t even have an album to push. He appeared for a record four shows with a strong lineup of songs from all of those popular albums from the 70’s and 80’s. Only Bette Midler came close to being as popular with her three shows in July. 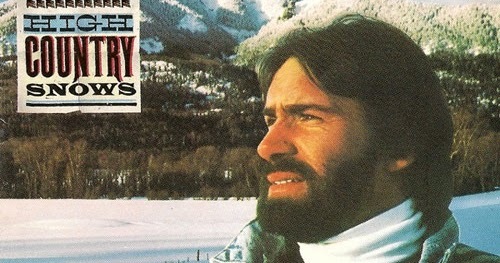 The 1983 season of summer opened with The Beach Boys–an appropriate choice. There was a mix of solo acts and group acts with even some comedians thrown in for good measure. 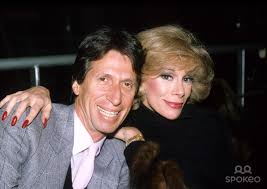 David Brenner, who recently passed away in 2014, was the opening act for Melissa Manchester and Gary Shandling, another Tonight show favorite, opened for Donna Summer. Interesting that these two acts were on back to back nights. It was also apparent the disco sound was waning with only Donna Summer booked to satisfy that genre. Country was still popular judging by the appearances of the Charlie Daniels Band, Willie Nelson, Merle Haggard and The Oak Ridge Boys. The number of acts continuing their run of appearing at Poplar Creek every year since it opened dropped from seven to six in 1983. The six who appeared included The Beach Boys, Jimmy Buffett, James Taylor, Willie Nelson, Jefferson Starship and Santana. Only Anne Murray dropped out from the year before. Which one of these six would not appear in 1984? The year ended with a two-day run of The Moody Blues. Was there anyone you were able to see in 1983? Did they put on a good show? Anything memorable? Share it with us! In the third year of Poplar Creek’s operation, they opened their season one week later and closed down one week earlier than the prior year. Maybe they learned something from the weather? John Denver did not appear this year but Elton John did. This was also the year we had a local act for the first time–Steve Dahl, Garry Meier and Teenage Radiation. It was also the first year for a couple of comedy acts–Joan Rivers and David Brenner, as well as Rodney Dangerfield–as one of our readers pointed out. And to class it up a bit, the Warsaw Philharmonic appeared too. 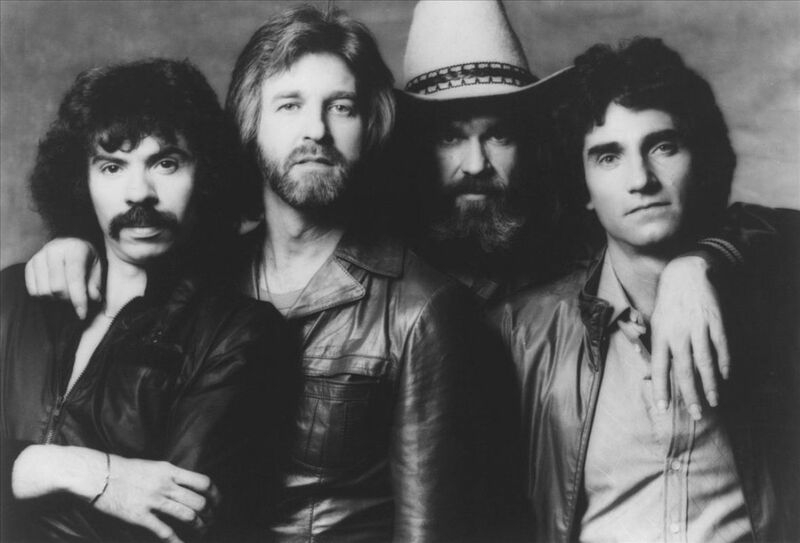 The only acts who appeared for the third year in a row were: Santana, Jimmy Buffett, Jefferson Starship, Beach Boys, Anne Murray, James Taylor, and Willie Nelson. Won’t it be interesting to see which of this group continued their run and appeared in 1983? When F & S Construction began building the village back in 1955, the first school was named Twinbrook and the first telephone exchange was Twinbrook 4. 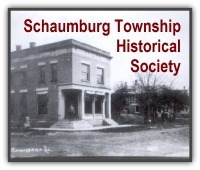 The name came from the fact that Hoffman Estates was situated between two brooks or creeks. Salt Creek was to the east and Poplar Creek was to the north and west. Poplar Creek’s watershed is largely in Hoffman Estates. The creek’s west branch begins its meandering up north of Palatine Rd in Barrington. The east branch of the creek snakes through north Hoffman and down the west side of Roselle Rd., under the tollway and winds its way through back yards north of Hassell Rd. 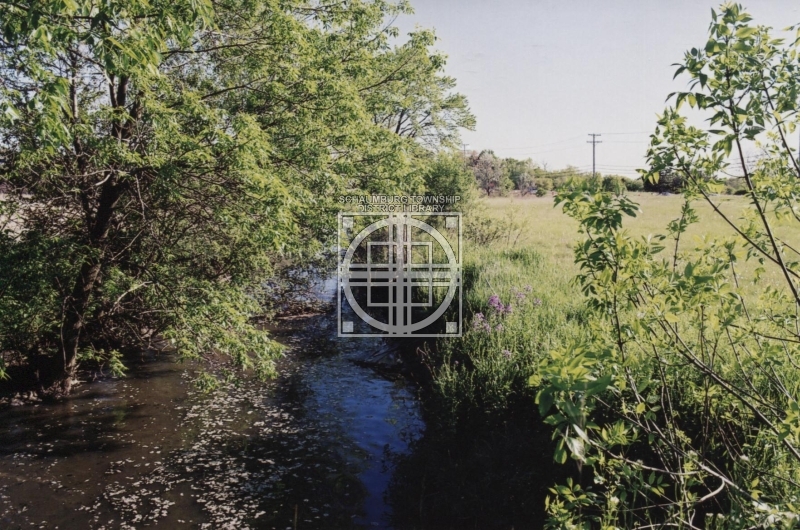 It eventually joins with the west branch and continues its journeys through the forest preserves under the 106 year old lion bridge and empties into the Fox River in South Elgin. Poplar Creek was the favorite place for fishing for Jon Bierman and his boyhood friend Ralph Heine. They caught Bullheads, Blue gills, Northern Pike and Carp. The two boys lived on either side of Barrington Rd. at old Higgins Rd. It was known as Buttermilk Corners. The creek went through Jon’s grandfather’s farm at Higgins and the tollway, under the bridge near Jon’s home, through his parent’s property and across and through Ralph’s farm. They hid under the bridge on hot days and also did a little frog hunting as well. The name Poplar Creek can be found in many areas of the village. One of the newest areas is the large shopping center, Poplar Creek Crossing, located at Route 59 and Higgins Rd. One of the oldest is gone. That was the Poplar Creek Music Theater that so many fondly remember for its great outdoor concerts. The beautiful Bridges of Poplar Creek Country Club is another area namesake. This 18 hole championship golf course is owned by the Hoffman Estates Park District. Poplar Creek Village, Poplar Creek Bowl and so many other businesses have identified with Poplar Creek. When the first settlers purchased their homesteads, the Poplar Creek was as important as the rich soil and the large groves of oak trees. The farms are gone but Poplar Creek’s watershed, that occupies forty-four square miles , continues to provide drainage for our village and fisherman can still be found on its west end at Golf Rd. The Poplar Creek Music Theater had 29 concerts their first year of operation. Their second year proved to be even more successful. They booked 45 acts during the course of what would be a very busy summer. And, once again, they had several acts who booked on multiple nights. 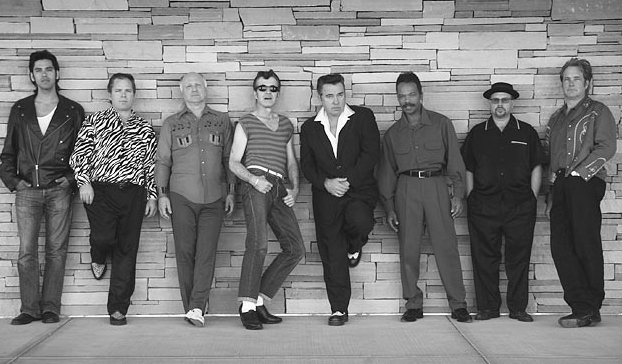 In fact, Sha-Na-Na-Na even performed at Woodfield while they were in town. They also had some repeat acts from the year before. They were: Santana, John Denver, Jefferson Starship, Jimmy Buffett, Chuck Mangione, Beach Boys, Sha-Na-Na, Arlo Guthrie, Anne Murray, James Taylor, Waylon Jennings and Willie Nelson. 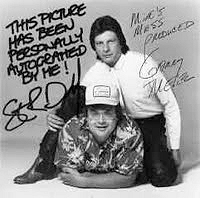 Obviously, they were touring machines at the time who maybe enjoyed the outdoor venue? Take a look at the list of concerts and the dates they were held. Can you guess which concert attracted the biggest crowd? If you have a guess, send in a comment. Or, maybe you remember going to one of concerts. Do you have a memory you’d like to share? If so, make a comment. The more, the merrier.